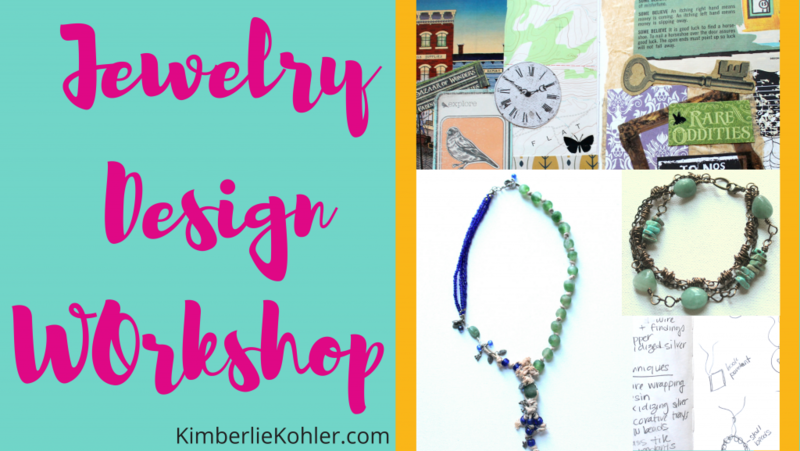 Recently I shared the 7 Basic Principles of Jewelry Design. One of those principles is emphasis. Emphasis is the focal point of the jewelry design that catches the viewer’s attention. Use a different color from the rest of the piece. Use a different size from the rest of the piece. Use a different shape from the rest of the piece. Use a different texture from the rest of the piece. For this necklace, the emphasis is all 4 of those things. How to bring emphasis to a simple necklace design. For my focal piece (emphasis), I used a slice from a fallen tree that my dad cut into a slice, sanded and drilled a hole in. Need help opening and closing jump rings? Click here for a quick video: How to Properly Open and Close Jump Rings. 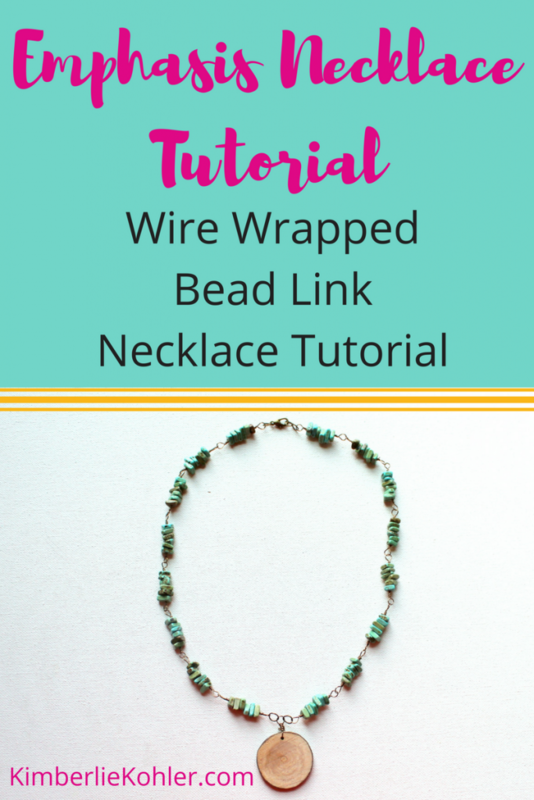 This entry was posted in How to Make Necklaces, Jewelry Design, Jewelry Tutorials by Kimberlie. Bookmark the permalink. very nice job. As always I love wire wrapped beads, and wire wrapping overall. I think the main focal piece in this case would look great with an extra bead dangle, or a little gold or green leaf. Great job, thanks for sharing. Happy New Year.